PADI Specialties that get you to the Master Scuba Diver rating. PADI Specialty dive courses are programs that enable you to actually learn about the kind of diving that you are interested in. Perhaps you like to take photos on land and would like to transfer this love of photography to be able to take good photos underwater. Perhaps you would love to be able to explore ship wrecks or be able to search for things underwater. 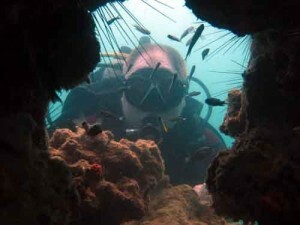 PADI has a long list of different specialties available, a majority of which are offered here in Pattaya by Real Divers, including Wreck diving, dive propulsion vehicles, enriched air (nitrox), deep diving, night diving, underwater video/photography, full face mask, Underwater, Navigation, side mount (tanks), is all possible here. Most PADI Specialty dive courses take between 1 and 2 days and are a great way to additionally work towards the PADI Master Scuba Diver rating, the highest rating diver in the PADI (non-professional) system. 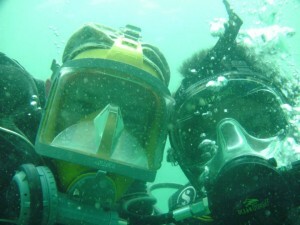 Learn to take pictures with a digital camera underwater. 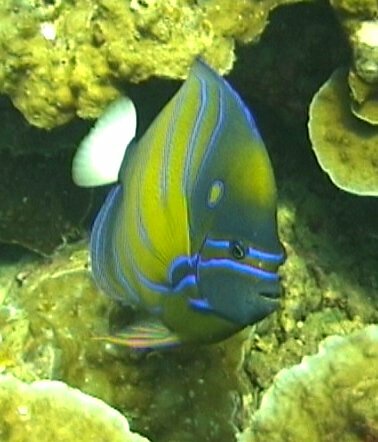 How many times have you heard a diver say “I wish I had a camera with me.” Seeing something wonderful on a dive is great but being able to show other people what you saw makes it even better. Even with today’s easy-to-use digital cameras it’s still worth learning some of the tricks of the trade as shooting underwater has some quirks that screw up your pictures and camera. 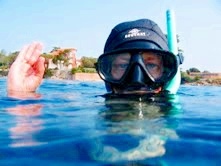 The course also includes invaluable advice on how to protect your equipment from sun & sea water. The older generation will tell you that it’s a case of “When” not “if” when it comes to having the housing flood and destroy the camera or camcorder. There is still some truth in saying equipment is good if well cared for, we will show you how to prepare the camera as well as how to look after and store it. We’ll also teach you how to maintain your position in the water and avoid damaging the coral or yourself while shooting your snap shots. Price 8,500 Thai Baht includes PADI manuals and certification. The PADI Drift Diver Specialty course introduces you to the coolest magic carpet ride you’ll ever experience. This course shows you how to enjoy ocean currents by “going with the flow,” staying with your dive partner, communicating with the dive boat and knowing where you are the whole time. 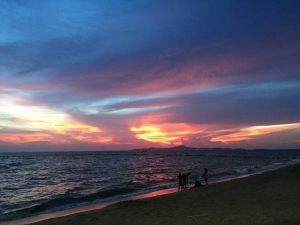 Pattaya has some great drift diving sites such as Koh Man Wichai, Koh Klung Badan and probably the fastest drift dive in Pattaya Koh Krok. • Techniques for staying close to a buddy or together as a group. Have you ever been on a deep dive or an interesting shipwreck and your dive computer has warned you that you have reached your no decompression limit? This is particularly annoying when you still have plenty of air in your tank and that’s where the problem lies – you are breathing air. Time to take the Enriched Air Specialty course. This is designed to show you how to dive on different oxygen contents that has been raised to the normal air you breathe, which in turn reduces the amount of potentially harmful nitrogen that can build up in your body tissues causing the bends. 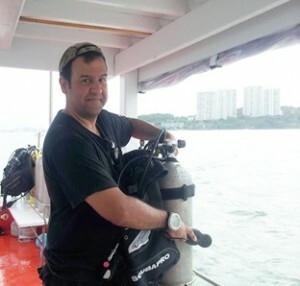 But you will also learn that there is no such thing as a free lunch, the elevated level of oxygen can also create problems and it is essential you know about this and the need to learn new dive tables to determine the limits of the gas mix you are using. You can take this course two ways, the first is to learn the theory on a one-day classroom course or you can take a two-day course where you get to do two enriched air dives. How effective is EANx or nitrox as it is usually known? Well, if you dived on a wreck at 30m on air your bottom time would be 20minutes, on nitrox where the oxygen level had been raised from the normal 21% to 36% you would get 50mins – provided you were carrying enough air to last that amount of time. Pattaya has 3 shipwrecks that are all great for multi-level diving so you can get more time on the wrecks safely without pushing limits. 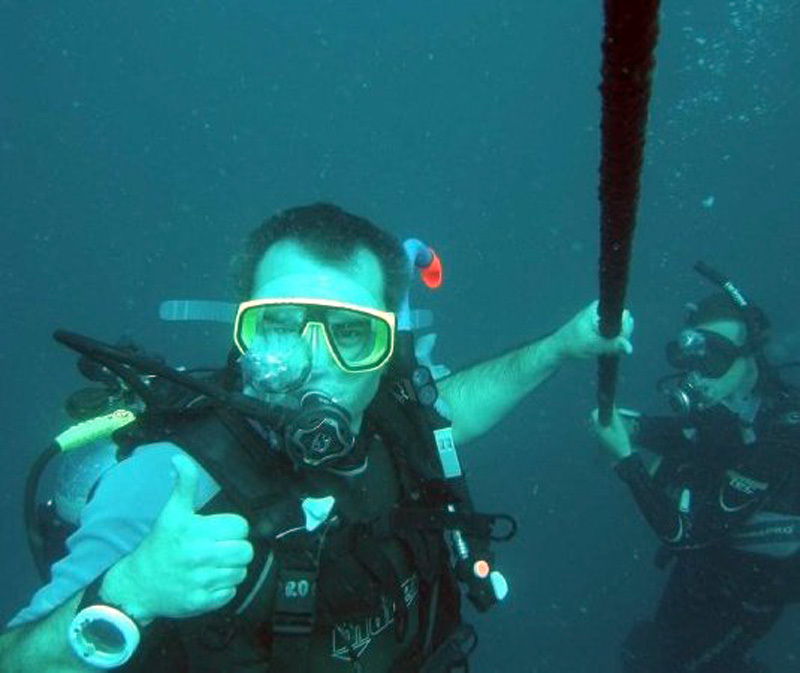 The Peak Performance buoyancy course is designed to help get your buyancy in the water perfect and thus make it easier for you to move through the water and conserve energy and thus air. On the course you will perform different skills such as calculating the correct weighting for you when wearing your equipment and exposure suit and hovering in different positions to enable you to be able to dive with more skill. If you dive regularly it’s only a matter of time before another diver will ask you to help find his mask, dive computer, knife, weight belt or something else, which they have accidentally dropped or has fallen over the side of the boat. Luckily this usually happens when the boat is moored. Well as a Search and Recovery specialist you have a good chance of finding the missing object. Thanks to your training you know what equipment is needed to suit the bottom conditions, what the best search method is and how to brief your buddys. You will know that the bottom conditions determine the search method. Expanding circles using a rope are great for finding small objects on a sandy unobstructed bottom but coral heads and rocks would rule out this search pattern because the line would get tangled, fortunately your training will allow you to introduce one of several other options to find what you are looking for. But what if you have been called in to find a speedboat engine that dropped off its mountings, now your biggest problem is not only locating it but getting it to the surface safely. Knowing how to use a lift bag to do this job is just another part of the course and recovering an engine should also cover your costs, if you negotiate in advance! Price 11,000 Thai Baht includes PADI manuals and certification. Most people like to be independent, to know where they are going and how to get there and that’s the same in scuba diving. It’s so much more fun for you and your buddy to work together navigating around the reef at your own pace, relaxing and having fun exploring the aquatic marine life. It’s also very satisfying to be able to get back to the “up” line without the need to surface for a quick look, hoping that the Divemaster won’t spot you! On the PADI Navigation specialty you will learn different methods of judging distance; using a compass and combining that skill with natural navigation. Once divers hear that the site ahead is a deep dive there is usually an air of excitement. As you descend slowly down the line the light and colours change and big, flying saucer bubbles float slowly up from divers below. 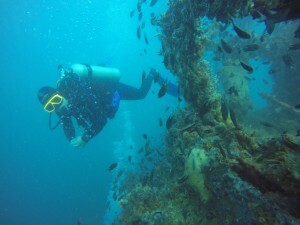 Then you see the bottom and it’s time to explore, most of the shipwrecks in Pattaya are deep dives around the 30 metre mark that’s where we do most of the dives on this course. The Deep diver course is a two day course and you will learn safe dive planning including; safety stops, navigating at depth, controlled descents and ascents and much more. If you have plans to move into technical diving this is a good starting point. Ok time for diving like you have seen in the movies. Have you ever seen the James Bond film “Thunderball” or “Into the Blue” for example. Divers in these movies are using DPVs (underwater scooters) to move around quicker and use less energy. 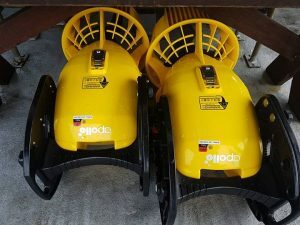 These devices are seriously cool and the course teaches you how to get them ready for diving, operate them and deal with potential problems such as a runaway motor and ascending and descending with them, probably the best, fun PADI Specialty diver course of them all. Price 11,500 Thai Baht includes PADI manuals and certification. In my experience, the distinct advantages of using the full face mask are the much greater field of vision, the ease of breathing and ability to breathe through the nose. Biggest plus for me would be for cold water diving as it provides excellent coverage and protection against cold water and no more numb teeth! Obviously in Pattaya we don’t have that problem. Next stop on the course is the pool, underwater you will find your breathing will be easier and quieter with the full face mask, vision is amazing and most important of all no leaks because of a slow continuous flow coming out of the mask seals. In the pool you will learn equalization techniques and skills such as buoyancy with the full face mask, mask removal and out of air drills. 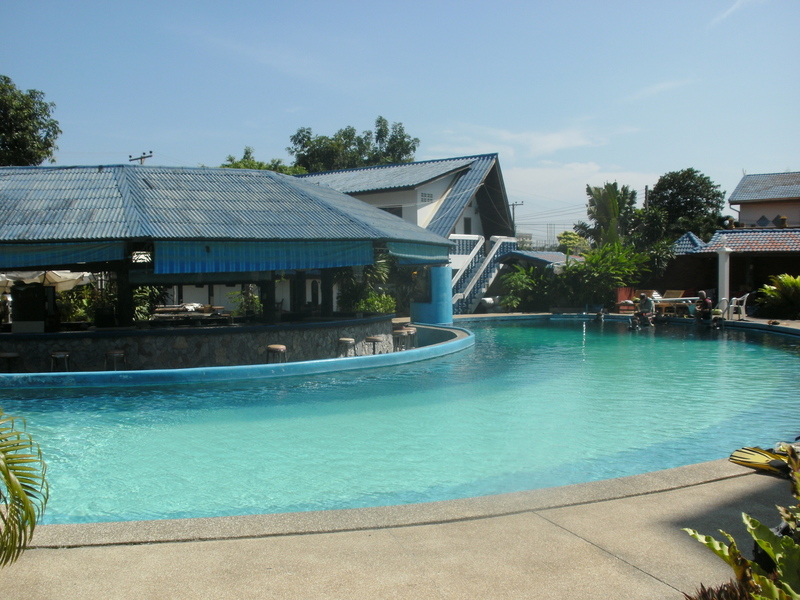 The pool session usually takes about two hours to complete. With the skills, the instructor will demonstrate them to you first and then have you practice them. Once you’ve mastered the skills you will be feeling confident and ready for the fun part, the ocean dives. On ocean dive #1 we will go over set up and the dive planning. On the dive the instructor will get you to do the skills that you learnt already in the swimming pool and then take you on an underwater tour of the coral dive site. In the afternoon we do dive #2 which has no real skills, just dive planning and having fun diving with the full face mask. At Real divers we have two different models of the full face mask so you can try both on the course. It’s nighttime, you are standing on the dive platform ready to do a giant stride entry. 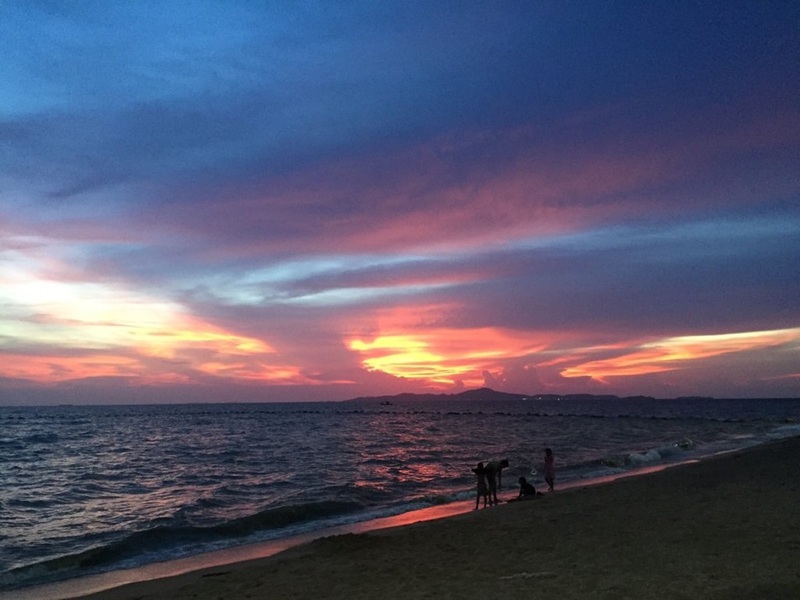 You know there’s an island about 100 metres in front of you but you can’t see it, then you look up and see the bright lights of Pattaya in the background. Your instructor is beside you and gently reminds you that you dived in exactly this spot two hours ago and you weren’t worried then. On goes your torch and you step forward into the unknown, one giant step for mankind. Guess what? they were right, there’s the big coral head brilliantly lit up in the torch beam and there’s the sea anemone bed, there’s a big turtle on the sand inspecting a parrot fish in its nighttime protective mantle. Scared! Me? 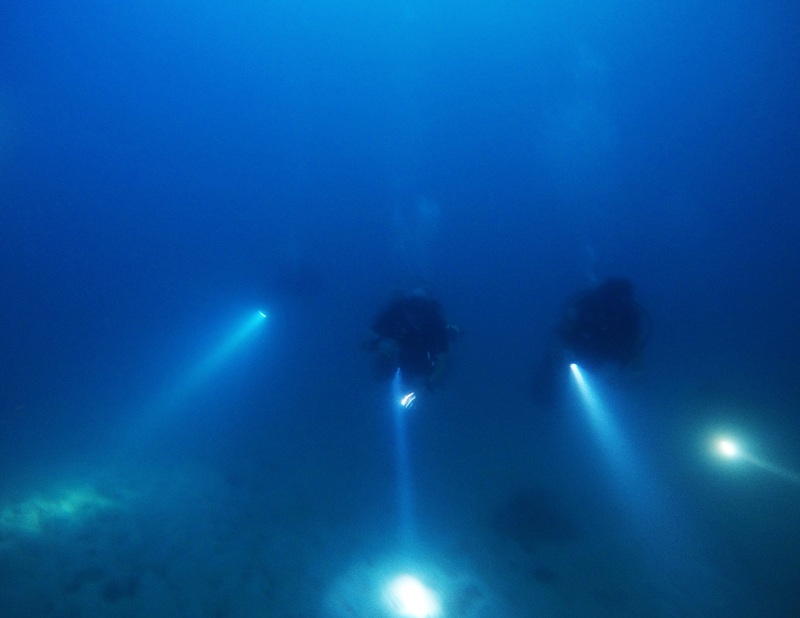 Hey this is fun and there’s no time to be scared…in any case my instructor and my buddy are right beside me and we’ll stick together throughout the dive, which is actually easier because you can see each others lights. On the PADI Night diving specialty course you will learn how to take care of your lights, how to use chemical light sticks, how to navigate at night without being disorientated, how to use your torch for hand signals without dazzling other divers and correct descent and ascent methods. Sidemount diving is the newest craze to hit scuba diving. You can now take courses with tanks in a sidemount configuration rather than a single tank on your back.This allows you to carry more tanks(greater air supply) and gear up in the water if you desire. You can also monitor all of your equipment more easliy as it is in front of you and investigate different streamlining techniques. Price 12,500 Thai Baht includes PADI manuals and certification. have been salvaged – and usually students take the Deep Diver Specialty and the Enriched Air Specialty in order to get the best out of their wreck dives. They also offer good photo and video opportunities as they provide a haven for marine life, particularly big groupers, rays and turtles. Penetrating a wreck is really easy – getting out safely can be the hard part and several factors have to be taken into consideration – exhaled air hitting a ceiling can wipe out visibility if it dislodges silt; getting lost in the dark, entanglement, running out of air, losing your buddy…. Why would anyone in their right mind want to do this? Because with the right training wreck diving is immense fun and when you’ve taken this course you will know how to how to fix an escape line to help you get out in zero viz and various tricks of the trade. 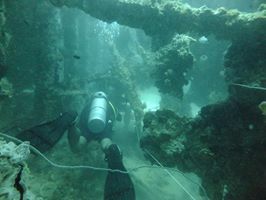 Then a whole new world is waiting for you to explore, Divers often help research the history of the wreck – where they came from and how they sunk. Pattaya has several wrecks you can dive on including a WW2 cargo ship called the Hardeep, the HTMS Khram amd the HTMS kood. 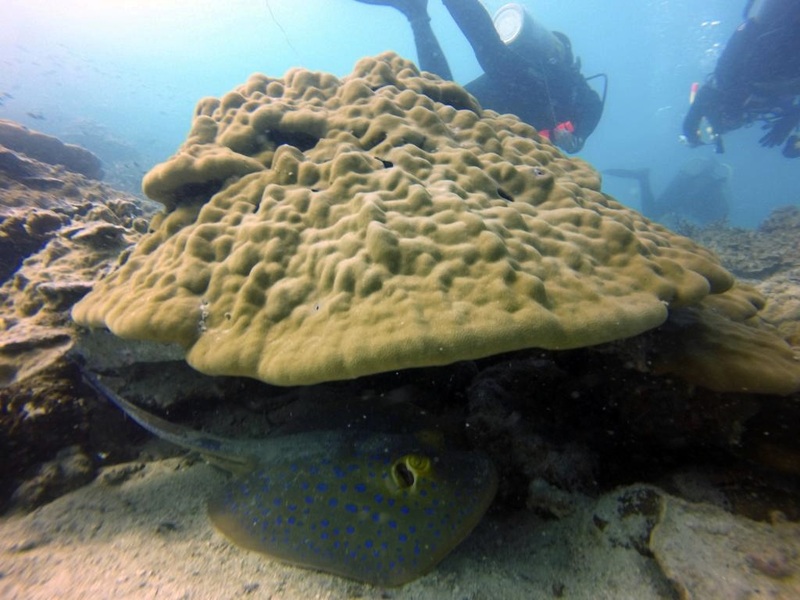 Learn about what different life makes up the underwater environment and what we can do to protect it. 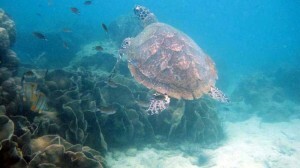 Learn about the different species and types of fish that live on the coral reefs, especially those that can be found at the Pattaya dive sites. You will find out how to identify the fish from their shape and colors. Price 8,500 Thai Baht includes PADI materials and certification. • Gain simple suggestions for comfortable equipment configurations and an introduction to new gear. Price 8,000 Thai Baht includes PADI manuals and certification. Good news here. There is NO classroom session on most of the PADI Specialty Diver courses (Excluding Equipment and Enriched Air Nitrox Diver). If the specialty you are doing has a manual you will be issued it by Real Divers when you sign up for the course, you need to read the manual and complete the two knowledge reviews. Your PADI Instructor will then run through the knowledge reviews with you and go over anything you have got wrong or not understood. Some courses such as the Enriched Air Nitrox Diver course have a DVD to watch with a final exam as well. It is then time for the diving. Become a PADI Master Scuba Diver and you’ll be one of the privileged few that has worked to enhance your knowledge and dive skills to the very top, with your knowledge and experience you’re second to none, this is the highest level a non professional diver can reach. As well as being a Rescue Diver to become a Master scuba diver you’ll need to complete 50 logged dives as well as five specialty diver courses which can be chosen to meet your specific interests. At Real Divers we recommend any 5 out of these specialties, Enriched Air Nitrox, Deep Diver, Wreck Diver, Navigation, Night Diver, Drive Propulsion Vehicle, Full Face Mask, Drift Diver, Multi-level Diver, Search and Recovery, U/W Photography and Equipment specialty. Once you hold five of these ratings and have logged at least fifty dives, you’ll be eligible for the black belt of scuba diving. We encourage every diver to strive for this level so they will get out of diving what they put in and wherever you go in the world you will always have the respect of the dive industry for reaching this achievement. 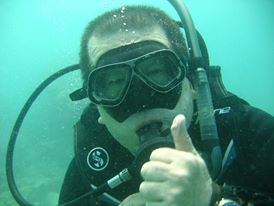 PADI Enriched air and PADI Sidemount specialties can be intergrated with other Padi specialties. E.g PADI Wreck Diver and Enriched Air Diver… PADI Deep diver and PADI Sidemount Diver. 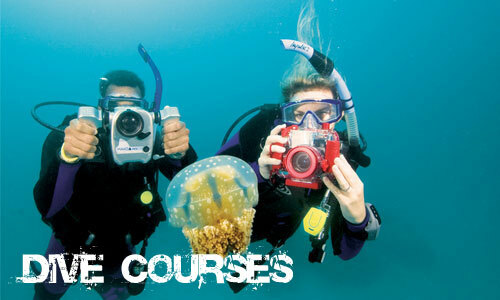 Get in touch with us for discounts on PADI specialty courses and the Master Scuba Diver Rating.